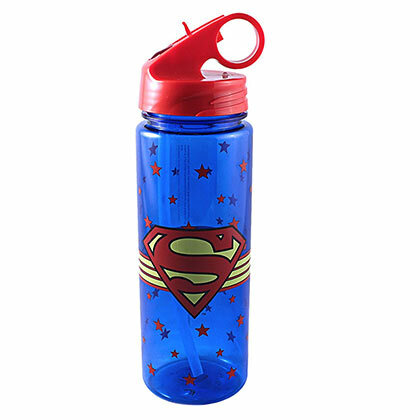 Superman water bottle. Depicts the authentic logo in yellow and red. Made of a see through plastic with a red cap and holds 600ML. Officially licensed.